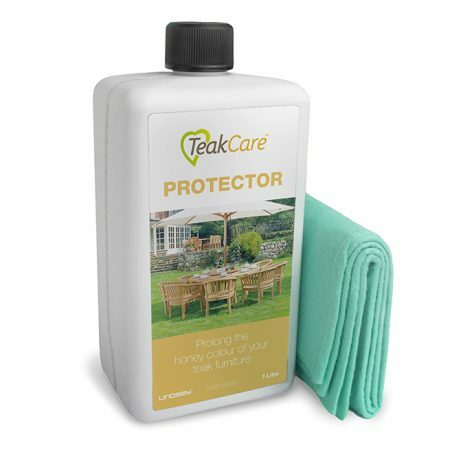 Teak Protector – Perfect for maintaining the golden brown colour of teak. 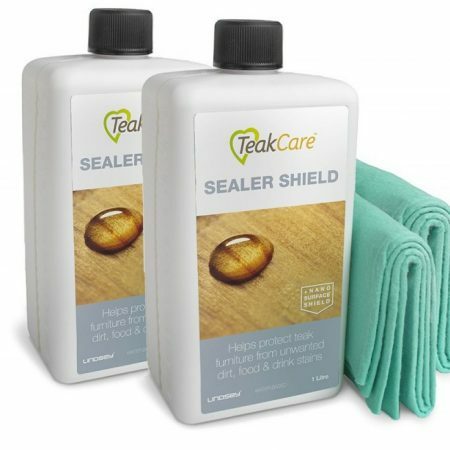 Teak Sealer Shield – Creates an invisible shield against spills and stains. 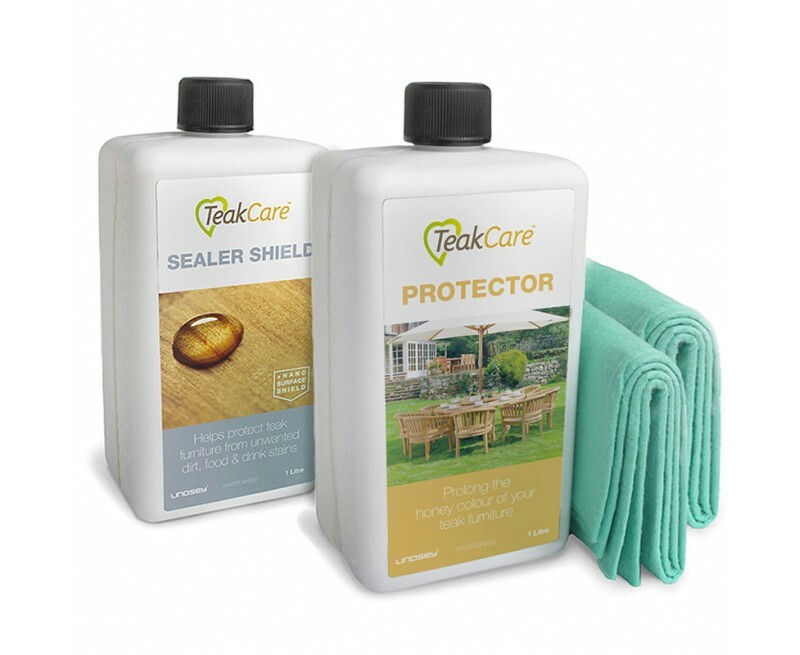 Our Teak Sealer Shield will help to make your teak wood furniture water and dirt repellent and is suitable for indoor or outdoor furniture. 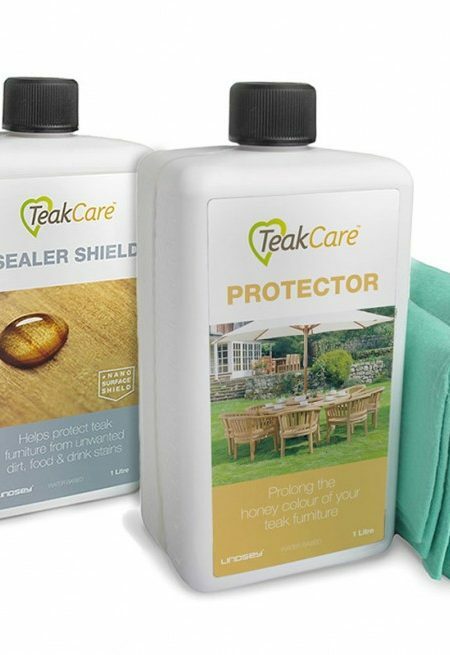 This water-based Teak Sealer Shield is an almost invisible wood impregnator that stops wine, olive oil, butter or coffee spills from seeping into teak. 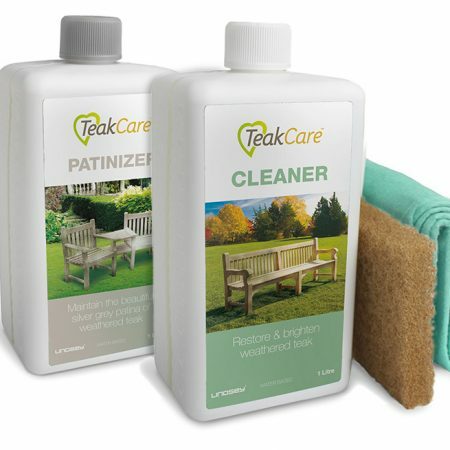 This ensures that after a meal your teak table can be simply wiped with a damp cloth without any unsightly stains remaining. Each bottle includes a soft cloth to make application even easier.